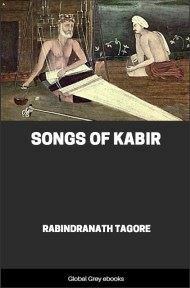 THE poet Kabîr, a selection from whose songs is here for the first time offered to English readers, is one of the most interesting personalities in the history of Indian mysticism. Born in or near Benares, of Mohammedan parents, and probably about the year 1440, be became in early life a disciple of the celebrated Hindu ascetic Râmânanda. Râmânanda had brought to Northern India the religious revival which Râmânuja, the great twelfth-century reformer of Brâhmanism, had initiated in the South. This revival was in part a reaction against the increasing formalism of the orthodox cult, in part an assertion of the demands of the heart as against the intense intellectualism of the Vedânta philosophy, the exaggerated monism which that philosophy proclaimed. It took in Râmânuja's preaching the form of an ardent personal devotion to the God Vishnu, as representing the personal aspect of the Divine Nature: that mystical "religion of love" which everywhere makes its appearance at a certain level of spiritual culture, and which creeds and philosophies are powerless to kill. Though such a devotion is indigenous in Hinduism, and finds expression in many passages of the Bhagavad Gîtâ, there was in its mediæval revival a large element of syncretism. Râmânanda, through whom its spirit is said to have reached Kabîr, appears to have been a man of wide religious culture, and full of missionary enthusiasm. 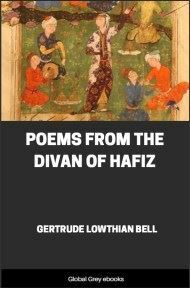 Living at the moment in which the impassioned poetry and deep philosophy of the great Persian mystics, Attâr, Sâdî, Jalâlu'ddîn Rûmî, and Hâfiz, were exercising a powerful influence on the religious thought of India, he dreamed of reconciling this intense and personal Mohammedan mysticism with the traditional theology of Brâhmanism. Some have regarded both these great religious leaders as influenced also by Christian thought and life: but as this is a point upon which competent authorities hold widely divergent views, its discussion is not attempted here. We may safely assert, however, that in their teachings, two--perhaps three--apparently antagonistic streams of intense spiritual culture met, as Jewish and Hellenistic thought met in the early Christian Church: and it is one of the outstanding characteristics of Kabîr's genius that he was able in his poems to fuse them into one. A great religious reformer, the founder of a sect to which nearly a million northern Hindus still belong, it is yet supremely as a mystical poet that Kabîr lives for us. His fate has been that of many revealers of Reality. A hater of religious exclusivism, and seeking above all things to initiate men into the liberty of the children of God, his followers have honoured his memory by re-erecting in a new place the barriers which he laboured to cast down. But his wonderful songs survive, the spontaneous expressions of his vision and his love; and it is by these, not by the didactic teachings associated with his name, that he makes his immortal appeal to the heart. 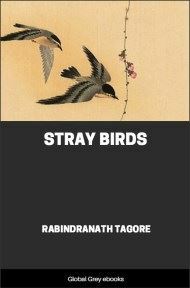 In these poems a wide range of mystical emotion is brought into play: from the loftiest abstractions, the most otherworldly passion for the Infinite, to the most intimate and personal realization of God, expressed in homely metaphors and religious symbols drawn indifferently from Hindu and Mohammedan belief. 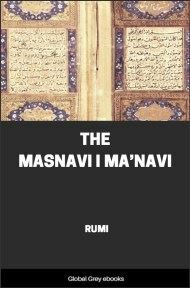 It is impossible to say of their author that he was Brâhman or Sûfî, Vedântist or Vaishnavite. He is, as he says himself, "at once the child of Allah and of Râm." That Supreme Spirit Whom he knew and adored, and to Whose joyous friendship he sought to induct the souls of other men, transcended whilst He included all metaphysical categories, all credal definitions; yet each contributed something to the description of that Infinite and Simple Totality Who revealed Himself, according to their measure, to the faithful lovers of all creeds. Kabîr's story is surrounded by contradictory legends, on none of which reliance can be placed. Some of these emanate from a Hindu, some from a Mohammedan source, and claim him by turns as a Sûfî and a Brâhman saint. 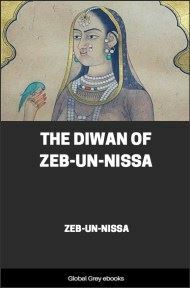 His name, however, is practically a conclusive proof of Moslem ancestry: and the most probable tale is that which represents him as the actual or adopted child of a Mohammedan weaver of Benares, the city in which the chief events of his life took place. In fifteenth-century Benares the syncretistic tendencies of Bhakti religion had reached full development. Sûfîs and Brâhmans appear to have met in disputation: the most spiritual members of both creeds frequenting the teachings of Râmânanda, whose reputation was then at its height. The boy Kabîr, in whom the religious passion was innate, saw in Râmânanda his destined teacher; but knew how slight were the chances that a Hindu guru would accept a Mohammedan as disciple. He therefore hid upon the steps of the river Ganges, where Râmânanda was accustomed to bathe; with the result that the master, coming down to the water, trod upon his body unexpectedly, and exclaimed in his astonishment, "Ram! Ram!" --the name of the incarnation under which he worshipped God. 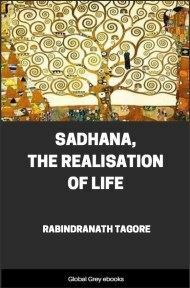 Kabîr then declared that he had received the mantra of initiation from Râmânanda's lips, and was by it admitted to discipleship. In spite of the protests of orthodox Brâhmans and Mohammedans, both equally annoyed by this contempt of theological landmarks, he persisted in his claim; thus exhibiting in action that very principle of religious synthesis which Râmânanda had sought to establish in thought. Râmânanda appears to have accepted him, and though Mohammedan legends speak of the famous Sûfî Pîr, Takkî of Jhansî, as Kabîr's master in later life, the Hindu saint is the only human teacher to whom in his songs he acknowledges indebtedness. The little that we know of Kabîr's life contradicts many current ideas concerning the Oriental mystic. Of the stages of discipline through which he passed, the manner in which his spiritual genius developed, we are completely ignorant. 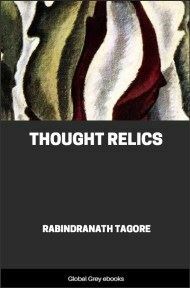 He seems to have remained for years the disciple of Râmânanda, joining in the theological and philosophical arguments which his master held with all the great Mullahs and Brâhmans of his day; and to this source we may perhaps trace his acquaintance with the terms of Hindu and Sûfî philosophy.